In light of the tragedy in Japan – we are going to take a pause on blogging and give some links to places where you can offer assistance. Google has a page of resources for people in country and people trying to track relatives as well as place donations. Time magazine has a page here . The mother and sister of a dear friend live in Japan – it was wonderful to hear that they are alive and well. Please do what you can to help others victimized by this tragedy to have the same outcome. The civility and bravery of the Japanese people in the face of this catastrophe should inspire us all. Entry filed under: Uncategorized. 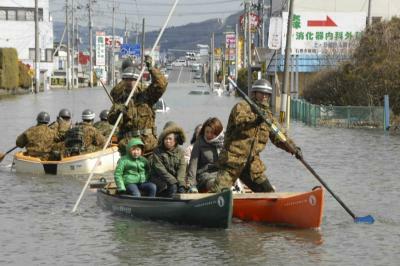 Tags: disaster Relief, Japan.